The brotherly directing duo, Anthony and Joe Russo, have taken over the reins for the next installment in Marvel’s mega- bucks franchise that takes the form of Captain America: The Winter Solider. After recovering from his New York ordeal (Avengers Assemble), Steve Rodgers (Chris Evans) returns to S.H.I.E.L.D to help Nick Fury (Samuel L. Jackson), Natasha Romanoff/Black Widow (Scarlett Johansson) and co. kick some bad guy backside. Captain America is not your most charismatic of superheroes. The guy, in his defence, was frozen for nearly 70 years – but he could crack a joke or two, right? Similarly to Rodgers’ first outing, the script lacked that witty charm that Iron Man, and even Thor, possesses – but what it lacks in humour it makes up for with solid action sequences, if not at times a little too clean cut, and an interesting storyline. The Winter Soldier revolves around one question: who are we fighting for? That is what Captain America can not seem to get to grips with as he struggles to adapt to a modern world of big business and dodgy dealings. The World World Two veteran does not know who to trust, and rightly so. Things are not what they seem at S.H.I.E.L.D, and its chief, Alexander Pierce (Robert Redford), is hiding dark secrets – ones that would change everything. As Hollywood blockbusters go, this sequel ticks most, if not all, of the regulation boxes – crash, bang and definitely a bit of wallop. The plot is interesting, and is left wide open, but the reveal of the Winter Solider’s (Sebastian Stan) true identity is done in a manner that was, quite frankly, a little underwhelming. 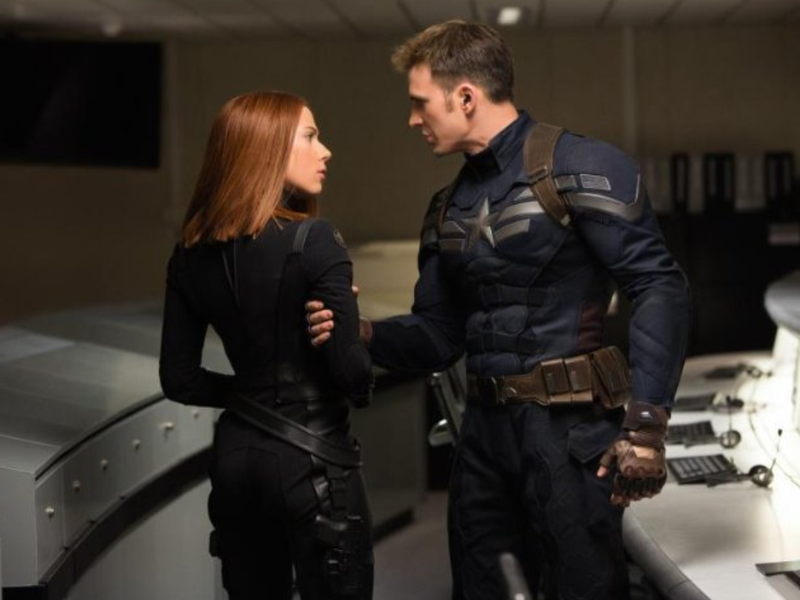 Captain America: The Winter Solider is deeper and darker than Joe Johnston’s The First Avenger, and fans will appreciate seeing more of both Nick Fury and the Black Widow, and despite being slightly too long and somewhat undercooked in certain places, it is a solid sequel that achieves, if not anything else, you leaving the cinema wanting more.